Join the AWS Summit in Berlin, meet our local team and learn how the cloud is accelerating innovation in businesses of all sizes. 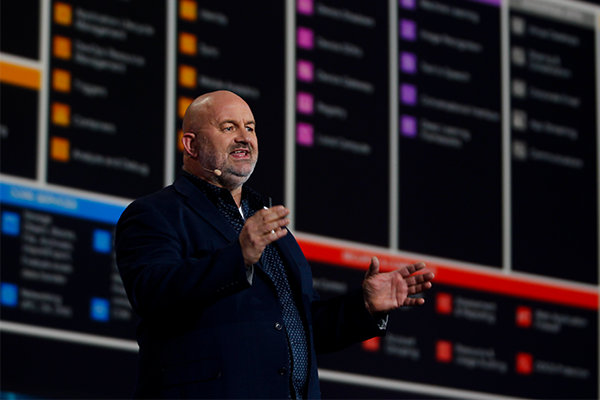 During this free, two-day event, you will learn about the AWS platform through breakout sessions that cover a wide range of topics from new services and architecture to performance and operations. You will also have the opportunity to hear from German customers about their journey to the cloud. Explore our rich two-day agenda and dive deep into your core topic or join a starter session to learn something new. Content on February 26 is focused on providing an overview of AWS services and features as well as best practices, details of service features and demos with the assumption that attendees are new or have introductory knowledge of the topics [Level 100-200]. Content on February 27 dives deeper into the selected topics. Sessions are for attendees who may have implemented a solution on their own already, and are comfortable with how the technology works across multiple services, architectures, and implementations [Level 300-400]. Klaus Bürg has significant and proven expertise in managing international enterprise type companies, developing go-to-market strategies and also has a strong affinity to cutting edge technologies. Klaus has more than 20 years of experience in the IT industry, including more than 15 years in selling and implementing business applications. 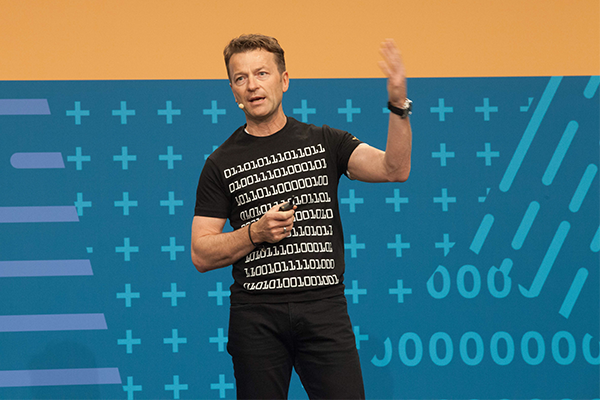 Before joining AWS, Klaus was working 2 years at audius AG as Executive Vice President. Before that he worked 11 years at Microsoft in various management functions. Klaus graduated with a Bachelor of Science degree in computer science from the University of Esslingen. He also holds a master of science in computer science from the same university. 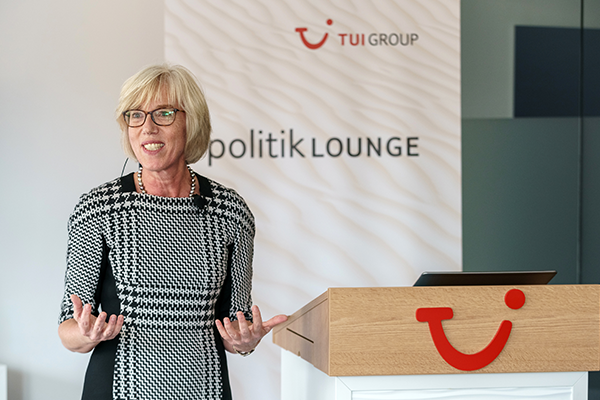 As Chief Digital Officer, Elke Reichart is responsible for all TUI Group IT platforms and also the Chief Executive Officer of TUI's IT branch InfoTec. She joined TUI in February 2018 after having spent 26 years with HP before. 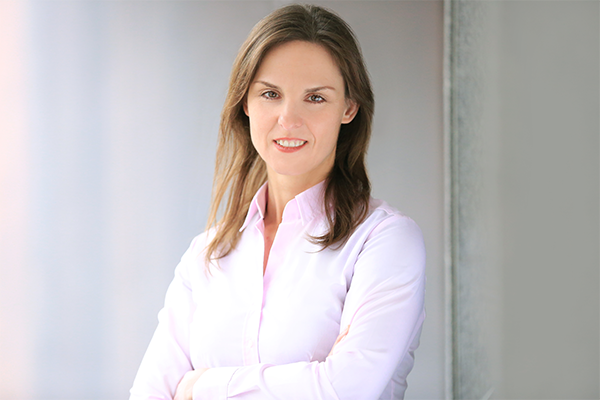 In 2012, Elke moved with her family to Palo Alto as the Vice President in charge of HP's global transformation program. Back in Germany, she was appointed to the supervisory board of Bechtle AG, Germany's largest IT reseller, in Dec 2017. Elke Reichart holds a master in Roman Languages, Economics and Applied Information Science. Markus Rautert, Vice President, adidas Global IT, leads the Platform Engineering & Architecture practice, which is dedicated to the design, creation, and operation of the next-generation architecture, technology services, and best practices that can be used by different product and project teams to create solutions faster and with higher quality. As a technology enthusiast, Markus believes in the capability to co-create differentiating business solutions together with industry and software partners, combining cloud native and open source technologies with commercial platform offerings. 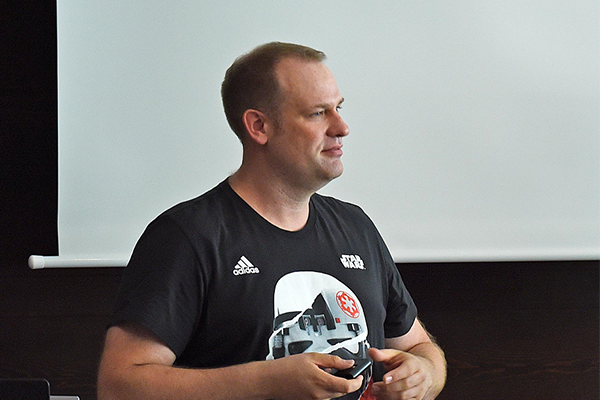 Markus has held several positions within adidas since 2006 in the European market organization, Sales, Marketing, and Enterprise Architecture. Previously, he worked for more than 7 years for Siemens AG in software development, architecture, and management consulting. In her current role as Head of Digital Services R&D she is responsible to develop and enhance the Mobility business area of digital services. Yvonne is leading a team of software architects, software developers, data engineers and technical product owners. Her task is to lead the design, development and operationalization of the cloud based IoT Platform Railigent and to build micro service and data-based software solutions. These digital services built in a business-driven architecture approach empower Mobility customers to understand their data and to generate valuable insights of their assets. Yvonne joined Siemens Mobility GmbH in February 2015 as Senior Big Data Architect & Engineer. Before she has been working in a data driven environment since 2000 in multiple roles as Senior Database Administrator, Lead DBA and Big Data Platform Architect/Engineer for Swisscom or Metro Group. Prof. Dr. Dr. Torsten Haferlach is CEO at MLL Munich Leukeumia Laboratory and Head of the Cytomorphology Department. 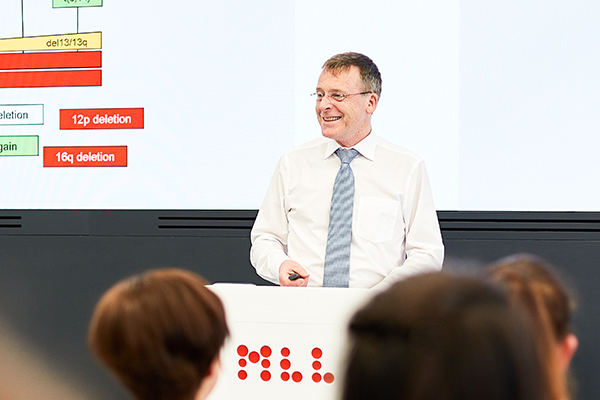 Before cofounding MLL in 2005, Dr. Haferlach was a senior physician at the university clinics in Kiel, Göttingen, Munich-Großhadern, with habilitation in internal medicine and a specialization in hematology and internal oncology. At the heart of his work is the responsibility for patients suffering from leukemia or lymphoma. His aim is to offer the best leukemia diagnostics at a global level, to make it available to all patients and to help extend their life expectancy with individualized treatment and improved quality of life. 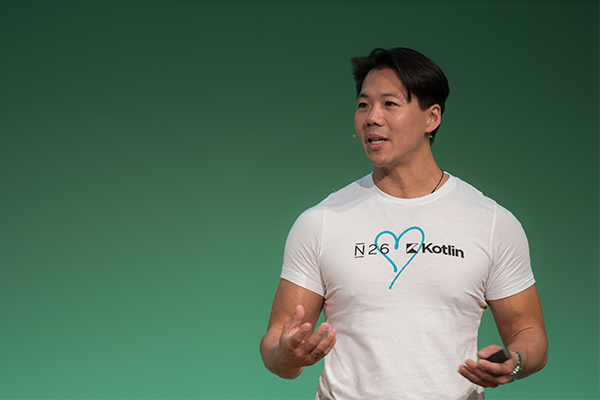 Patrick Kua is the CTO of the mobile bank N26 (Berlin, Germany), where he is building the engineering group that will change modern retail banking for people like you and me. Formerly a Principal Technical Consultant at ThoughtWorks, he is the author of three books, The Retrospective Handbook, Talking with Tech Leads and most recently, Building Evolutionary Architectures. Patrick is a frequent conference speaker, blogger and is passionate about bringing a balanced focus between people, organisations and technology. Danna is CEO of HEED, a new consumer platform that is transforming the sports and entertainment experience for young fans. Using IoT analytics and AI, HEED delivers real-time stories, unique insights and a new way to visualize and engage with live events. As an accomplished global business and technology executive, Danna held various positions in tech and media companies. Among them were leadership roles in Vocativ – where she was an EP of Dark Net, an original Showtime docu-series - AGT International, and Comverse.